I have mentioned a few services that I use with the photos I have taken to share as well to create products for selling. One service that offers a lot of products that you can have your photos applied to is Zazzle. To help end-to-end, they offer a store you can set up where Zazzle will collect the money, assemble and ship without you having to do anything more than the initial product set up. 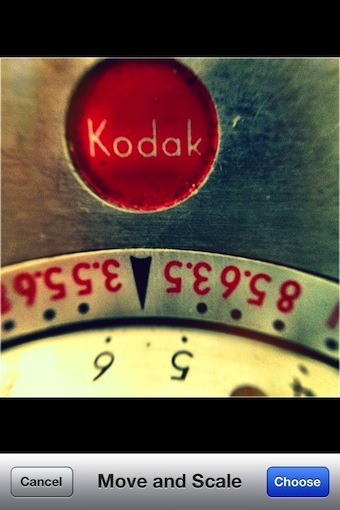 The service pays you the percent you chose to mark up each product. Some of their offerings seem like people can get a great deal, others may appear a bit expensive and people may explore other options with no fault of your photo work. To help their service offerings expand, and to make it easier for you to create new products, Zazzle product creation can now be done via a free iPhone app (works in 2x on the iPad). 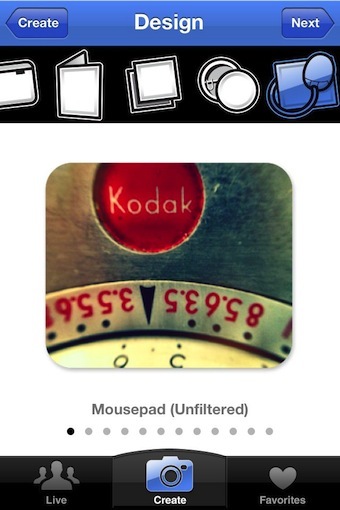 Start by taking a photo via Zazzle Instant or importing from your iPhone’s photo library. The only placement and sizing of an image is possible on the first import screen above. 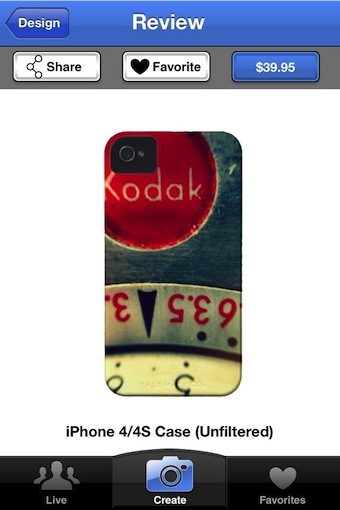 Once you have chosen ‘Choose’, Zazzle Instant will automatically place the image on the product. Moving the image around a bit like you can via the Web site interface would be nice. For now, a bit of experimentation via the move/scale screen is needed to get the image placement as you had envisioned. There is a variety of filters available to apply to you image. Sweep left/right to see each effects impact on your photo. Normally, I would have the photo edited prior to getting to the point of using Zazzle Instant, but it’s a nice feature to make sure there isn’t a small tweak to get a bigger visual impact to the finished product. Sweeping across the upper bar takes you to other products that can have the image applied to. The list is small compared to what your able to do via the Web site, but Zazzle Instant hits all the major product types. Select one to instantly see the product with your photo on it. Since you can’t move the image around the product within the app, some photos don’t work well with some products. When you have the product as you like it, the ‘Next’ button makes it a reality. 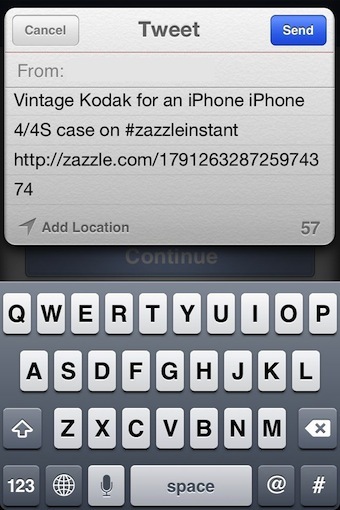 Zazzle Instant lets you share a link with others as well add it to your own ‘Favorite’ area on your iPhone for quick reference later. 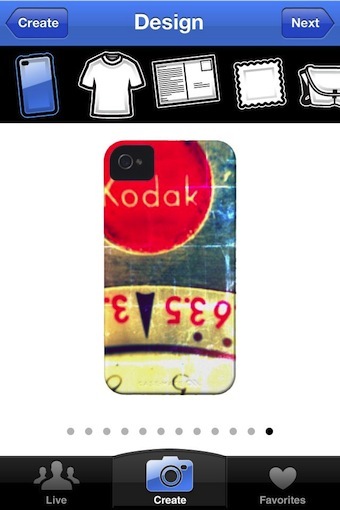 The products you create on your iPhone do not need to live in a void, they can be added to your current Zazzle account. 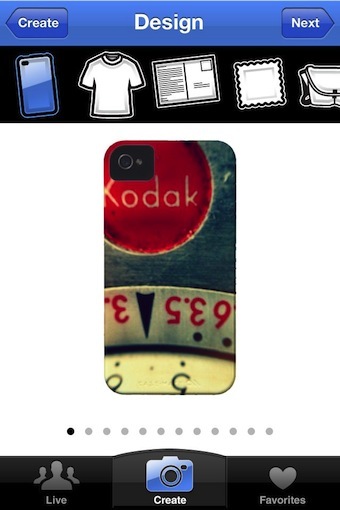 This way, products you create on the Web site or on your iPhone will all be grouped in the same Zazzle store with your ID. The product does appear pretty quickly on your site with a default mark up and category, you can edit on the Web site to better personalize the experience without causing the product link to change. It’s the little things that make me happy! If you choose to share the news with others of your creation, the Zazzle Instant app lets you do it via Twitter, Facebook or an email. I like that you can edit the text prior to sending, other services just fire out what always appears to be an ad for their service rather than a call to action for your followers. 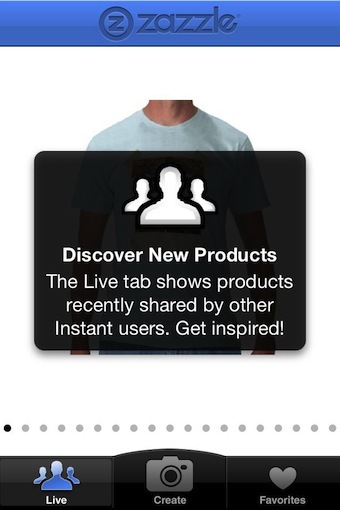 When finishing up your product design, Zazzle Instant allows you to ‘Allow in Live’. This is an area that is accessed through the left ‘Live’ button. 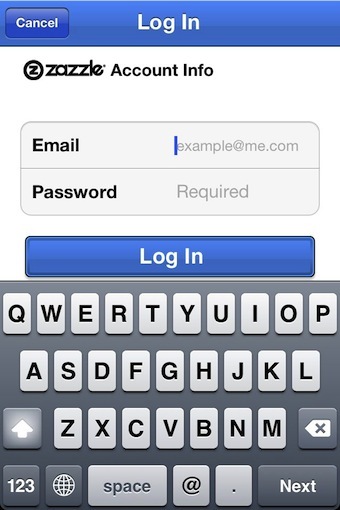 Anyone using the app can sweep through a variety of creations from other users of the app. Both for inspiration and for purchasing opportunities.